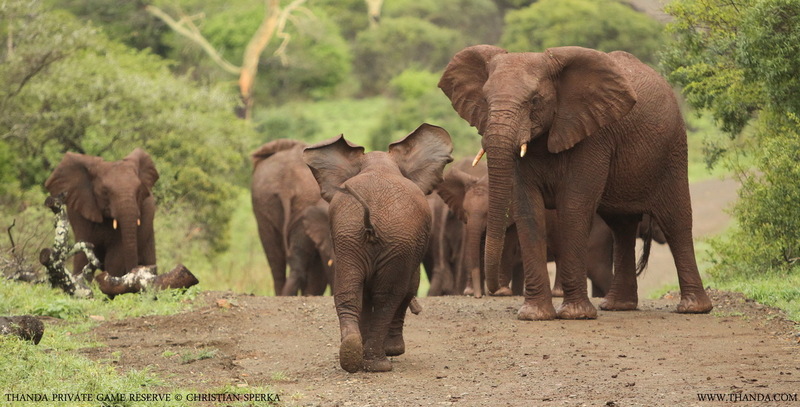 The Thanda breeding herd of Elephants picked up the scent of a Hyena, which had walked up the road before they came out of the forest to walk towards a waterhole. As usual they got very agitated when they realized a predator was in the area. They started running down the road looking for the source of the smell. The Thanda guests on my vehicle enjoyed “the show”, especially when a youngster tried to catch up with the herd waving his ears and trumpeting loudly.